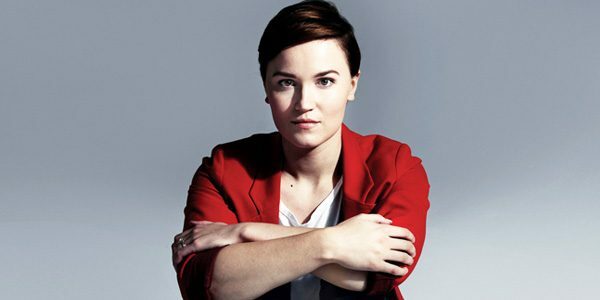 To go along with the film release, we thought we’d kick off DIVERGENT WEEK with a throwback to the original interview we did with author Veronica Roth in 2011, right before the first novel hit bookshelves. Divergent is the first book about a dystopian world where everyone is divided into five factions, based on their personalities: Abnegation (selfless), Candor (honest), Amity (peaceful), Erudite (intelligent) and Dauntless (brave). Although Beatrice was born into Abnegation, all citizens, once they reach 16, take a test to determine the best place for them and then they must decide—and so she is faced with a choice. Most stick with the life they have always known, but some feel drawn to a different faction from their parents and are then forced to leave behind their past life—friends, family, moral codes—to join another. When formerly-quiet Beatrice decides to leave Abnegation for Dauntless and renames herself Tris, everyone is shocked. In a faction where blind courage, brute strength and total fearlessness are valued above all else, can the girl who was raised to be completely selfless even survive, let alone reinvent herself? Once you pick up this novel, you won’t be able to put it down—I promise! 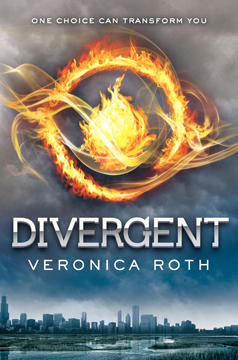 Immediately after reading the first few pages of Divergent, I knew it was going to be huge. So, it was beyond a pleasure to sit down with Veronica Roth to chat about her characters, her creation and her career. 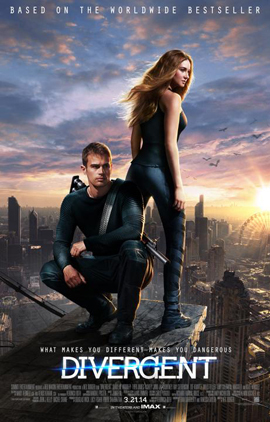 What inspired you to write the world of Divergent? There are so many things that inspired it. If you ask me three times in a day, I’ll tell you three different things. One of them was the characters. I had an idea of what Tris would sound like. It was very specific. Actually, listening to her voice, I figured out who she was. But as far as the dystopian world goes, I came up with the Dauntless faction first, because I was studying psychology and the treatment of phobias. I thought, “What group of people treats phobias constantly?” And that would be a brave group of people, or people who value that. The other factions just sort of came about as a result of that. I was interested in looking at the way that people try to be virtuous and the ways that they fail, inevitably, because they focus so much on one thing, or on the wrong things. Virtue as an end to itself is not really a useful pursuit. Are any of the characters inspired by your real life? Tris’ mother is closely related to my mother. The book is dedicated to my mom, actually. The defining moment when Tris picks something different from her family, and her dad is angry, but her mom is smiling—I think that’s something my mother would do. We were talking yesterday about how all the characters are really me, or they’re all the author, in any book. What characters did you have the most fun writing about? I love Eric and Peter. I love writing villains, and they are just awful, slime-ball people. I think Eric more than Peter because he’s kind of gross. He’s got all those holes in his face, and when he smiles, they stretch out. You wrote the first novel while in college. How did you balance school and writing? It was a little tricky. I wrote a large chunk of it over winter break, when I didn’t have anything to do, so that was a good plan. A lot of the people around me were very dedicated to their classes, and they would do all the reading and really process it. And I had a divided focus. I would do just exactly what I needed to do to get through the class and do reasonably well. But I wasn’t so committed to it that I would freak out over any given test or assignment. So, that was my official strategy, I guess. And I had to not be as social as I wanted to be. I don’t have a lot of life experience. You write from as much as you’ve learned and as much as you know. If it turns out really well, then you can try to get it published. If you get rejected by everyone, then you start again. You can’t be discouraged by your age, because I know a lot of writers who have a really interesting and fresh perspective because of their age. And they’ll probably continue to get better as they get older, but there’s no sense in putting it off because you’re 17 or 18. An outstanding share! I’ve just forwarded this onto a co-worker who was doing a little research on this. And he actually ordered me breakfast simply because I found it for him… lol. So let me reword this…. Thanks for the meal!! But yeah, thanx for spending time to talk about this issue here on your web site.